Soak kelp noodles overnight (if you have time). Next day, rinse noodles (about 3 times to get rid of the wonderful smell of the ocean), and chop. Mix all ingredients for alfredo in viatmixer (or blender) until forming a smooth sauce. Add water slowly to adjust consistency. 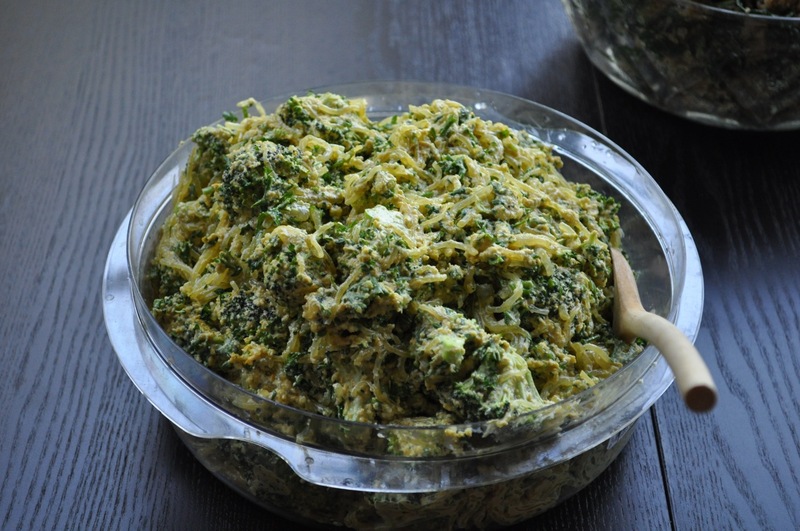 Mix together noodles, broccoli, parsley and alfredo. Massage sauce into pasta. Garnish with parsley and nutmeg.